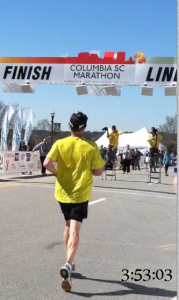 Home » Posts Tagged "Palmetto State Runner"
Just a quick note to let you know I’m still kicking and running. 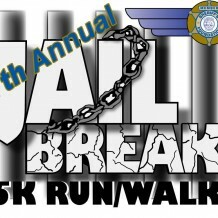 This year is Jailbreak VII and will be held on May 25, 2012 in Lexington, South Carolina. 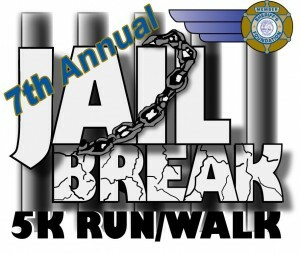 The race supports the Lexington County Sheriff’s Foundation. Last year, an out of towner named Scott Wietecha came in and put a whippin’ on all the usual local favorites with a 14:47. This year, I hope to see some of the Lexington High cross country and track team guys come out to give the regulars a run for their money. 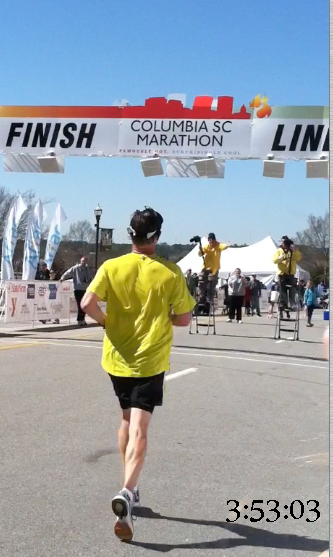 I rarely go into a race without at least one personal goal. This race is no different. I guess I have two for this outing. The first is to avenge myself from the beat down I took last week in the Run Hard 5K when my son whipped me by over a minute and a half. Now, I’m not going to make excuses. I ran an OK race at 22:43 for having some sort of cold/virus bug. I’m over that, and I’ve had good training of late. My plan is to let him go out his usually too fast pace, and catch him on the last mile, as the hills take their toll. This plan assumes that I am immune to the hills. I have no historical evidence to support that, but let’s just go with it. 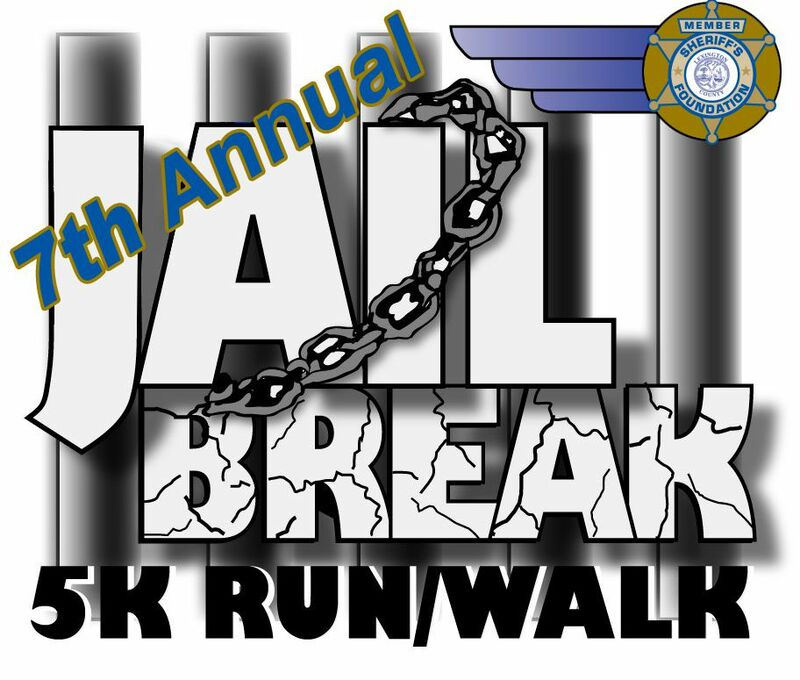 The second goal is to establish a good baseline 5K time for my next marathon training. 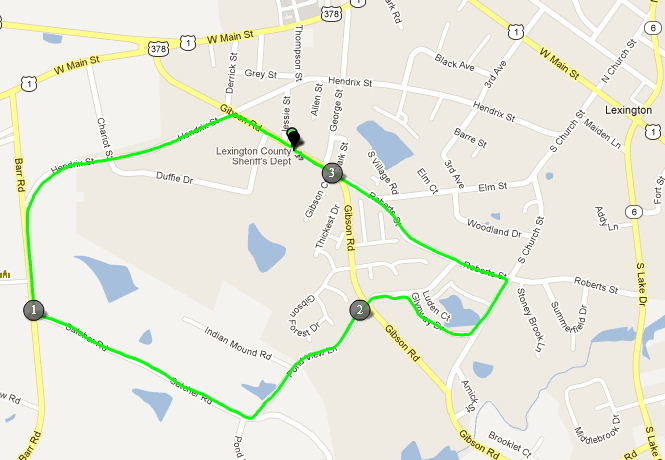 I’m thinking of doing the Outer Banks Marathon in November, so serious training will pick up in July. I plan on going to back to using the Run Less Run Faster book. In this book, workout speeds are based on your 5K ability. Since I want to improve my marathon time and maybe catch a glimpse of a BQ (Boston Qualifier), I would like to set a PR, just to help with the mental edge of training. My 5K best is 21:36 and the book says 21:06 puts you in the ball park for having the ability to BQ, based on their statistics. So, it is time to go work on my playlist. Being Memorial Day weekend, I’m thinking of going with a patriotic theme. This will at least allow me to justify Night Ranger’s You Can Still Rock in America. I will not be including Billy Ray Cyrus’s Some Gave All, though, in case you were wondering. Helped coach a group of beginners in a Couch To 5K-type program. Coordinated a group of co-workers for a team event 10K. We helped raise money for a charity and came in third in the corporate competition. Paced a friend in a half marathon. We both set person bests. Trained with a partner for most of my runs this past summer. Now, I’m certainly no expert on being social yet. I barely have over 100 friends on Facebook. Nonetheless, I’ve come up with some reasons to run social, at least occasionally, and some guidelines to follow when doing so. Knowledge sharing. One piece of advice I gave to the beginners in the running club was to buy a good pair of moisture-wicking socks. 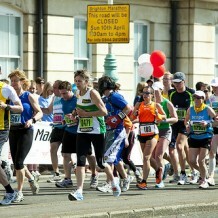 A couple of weeks later, one the runners told me she had followed my advice and really loved the new socks. You can also learn from others. I also believe that even the most experienced runner can learn something from others. For instance, I learned about a running app from a friend during one of our runs. I’ve also learned about races that sounded fun and penciled them in on the bucket list. Fun. As much as I still like to run alone and be lost in bad ’80s music, running with others is really fun. And if running isn’t fun for you at least every once and a while, maybe you should check out cycling. Slow down to the comfortable pace of the slower runner(s). Running is no fun when you cannot keep up. Discuss the plan and pace before starting. Don’t over do it – a.k.a know your limits. This is a hard one for many guys. The bottom line is it is just dumb to push way beyond your abilities. If you’ve never run over three miles, then don’t try to do ten! Don’t leave anyone behind. I found this was especially important in the group 5K training. No one wants to be left behind on a group run. I liked to make sure I played “sweeper” on the group runs, hanging out with the slowest person. Sure, I could walk faster, but I just ran really slow and tried to give encouragement. Remember, we’ve all been there. If you have anything to add, please share in the comments below. PS. 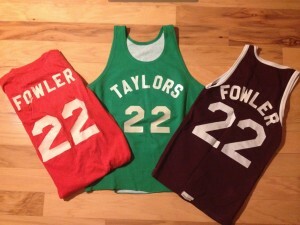 Help me on the Palmetto State Runner Facebook likes. Click here to go to the PSR FB page and click like. If you’ve looked around my blog, you’ve seen that I have been moving toward minimalist shoes. This seems to be going well, but my Kinvaras are getting high in miles and I don’t plan on using them much longer. Also, I currently don’t have a long run shoe, having abandoned my Mizuno Wave Inspires after my foot injury in February. 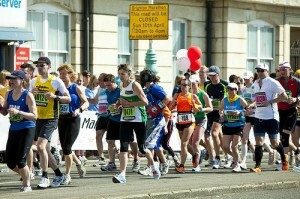 What to do with half and full Marathon training looming? As I mentioned, in my last post, Summertime Blues?, one of the motivation steps I planned to take was to purchase a pair of Newton Running Shoes. Why Newtons? These are not marketed as minimalist shoes. Having read reviews of Newton shoes from the Natural Running Center and Runblogger, I believe a pair of Newtons will help me on my journey to better form, less heel to toe drop, and ultimately, no more left foot pain. Maybe I’m just buying more magic beans. We’ll see. Since Newtons are not sold in my part of South Carolina, I planned to drive to Charlotte, North Carolina to see them. Sure, I could order online, but I wanted to try them on and not hassle with any possible returns from online retailers. 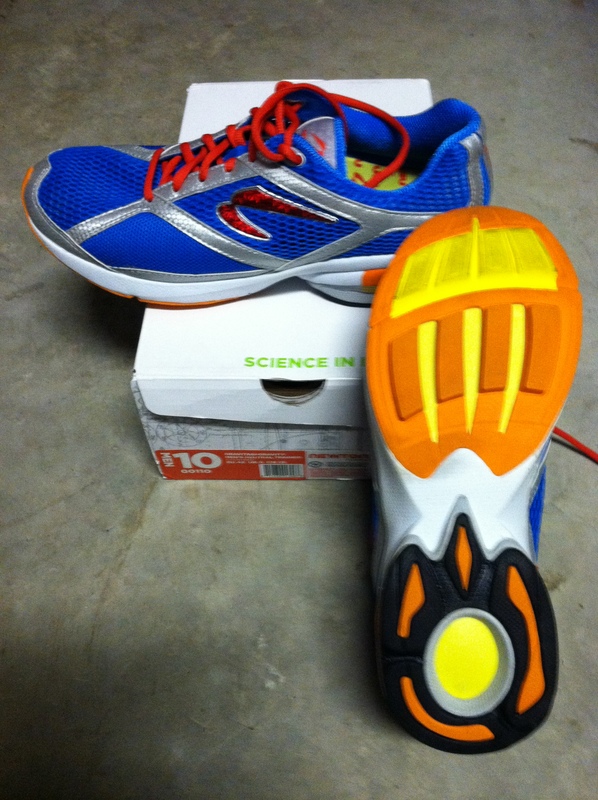 I called a Newton dealer in Charlotte, and they held a pair of Distance Racers for me. Well, the Distance Racers did not work very well. They were tighter in the toe box than I expected, rubbing my pinky toes. Unfortunately, the store did not have my other choice, the Distance Trainer. After reviewing the specs and some reviews on the shoes (thanks, iPhone), I decided the Distance Trainer or Gravitas (a trainer also) would probably make more sense, since they should last longer and Newton shoes are pricey. 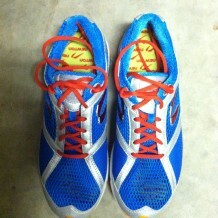 However, the Distance Trainer is cut the same as the Racers, so I expected them to be tight on my toes as well. Long story short, I ended up at another running store, Charlotte Running Company, where I purchased a pair of the Gravitas model. They fit much better across my toes due to different styling. Also, I liked the blue color much better than the green Distance Racers. 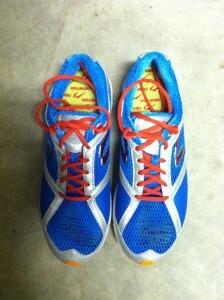 The heel to toe drop on the Gravitas is listed as 3mm, instead of the 2mm Distance Trainer or Racer. As an added bonus, the store was giving 10% off all purchases, and it was a back-to-school sale tax free weekend in North Carolina, so I saved a good bit of money on the shoes. From a distance, the Newtons, look like most other traditional running shoes.Â Upon closer inspection, though, you can see that the sole is different. There are 4 lugs that provide the action/reaction system Newton describes on their website. My wife said I was getting my own pair of Shape-ups…arggh. Both stores warned me to take it easy transitioning to the Newtons. So does the literature that comes with the shoe. As a first run, I only did one mile. The feeling is definitely different than any other shoes I’ve had. With the lugs, I felt like I was landing on a small ball under the balls of my feet. This seemed to engage the muscles and tendons of my feet more than other shoes, especially that tendon on the outside of your foot that is about the size of 1/2 a golf ball (Fibularis brevis tendon maybe?). They also seemed to work my right calf differently. The next morning, my left arch was a little more sore than usual. I plan on running a little bit every other day this week to ease into them. I’ll update my progress in future posts.